Former Maryland Terrapins basketball player Cliff Tucker died at the age of 29 on Monday morning following a car crash in Texas. Tucker played for Maryland from 2007-11, spending all four seasons under Hall of Fame coach Gary Williams. His Terrapins made the NCAA tournament twice during his time at College Park, advancing to the second round in both his sophomore and junior seasons. "Cliff was a great teammate willing to do whatever it took to make us champions," Williams said about his former player in a statement on the team's website. "One of the great things about coaching is getting to know each player and their passion for their family, life and basketball. That's what makes this so difficult. He touched everyone who was a part of his life." 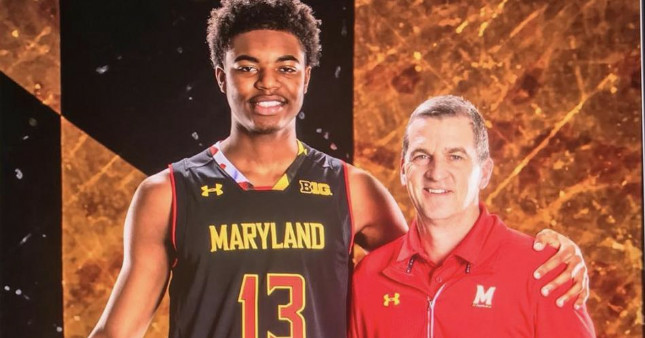 The 6'6", 200-pound Tucker averaged a career-high 9.6 points, 3.5 rebounds and 2.2 assists as a senior, leading Maryland with 41 three-pointers. He is best remembered for his buzzer-beater that pushed his team past Georgia Tech in February 2010. Per Felix F. Chavez of the El Paso Times, Tucker was one of three people who died in the crash, with four others injured. None of the three who died were wearing seatbelts at the time of the accident.